So, you’ve got an adorable little girl? Lucky you! There is nothing better than a cute little princess you can shower with indulgence. Girls’ rooms with a Hello Kitty motif are very popular. 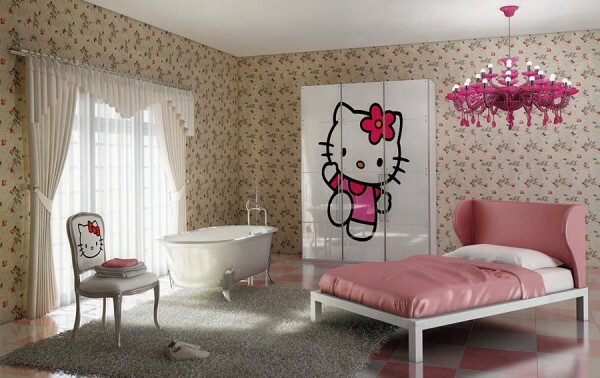 She’ll always be regaled by the sight of the cute kitty’s face whether on the wall, the curtains or on the bed. 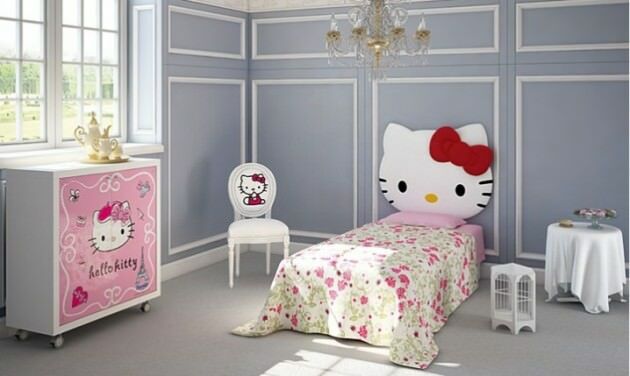 Perhaps the headboard of the bed can be a cushioned kitty face; chances are your little girl will be happier sleeping under it. 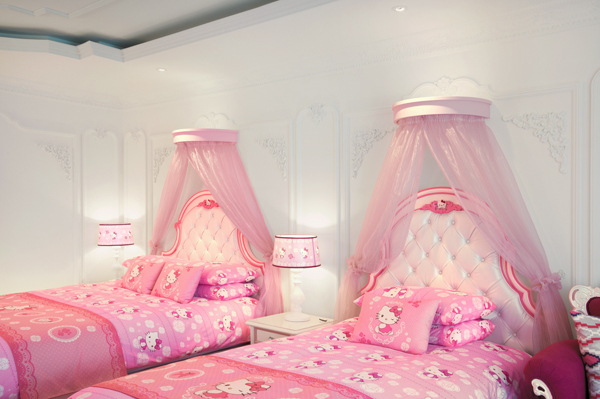 It is better left to a mother to design a kitty room. 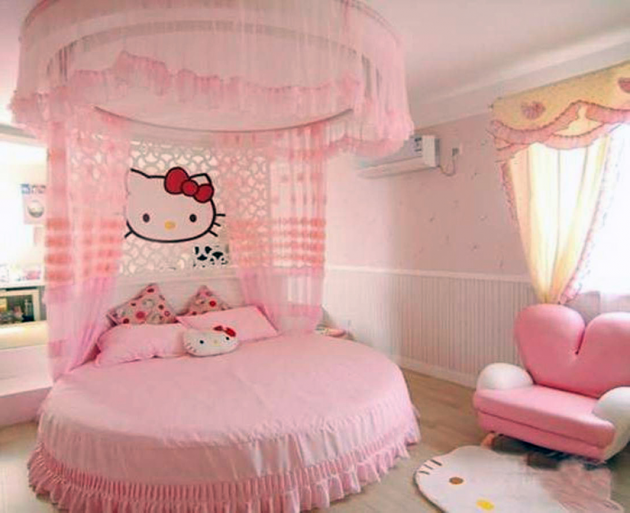 You were once a little girl yourself, so delve into your childhood and think about what you wanted. 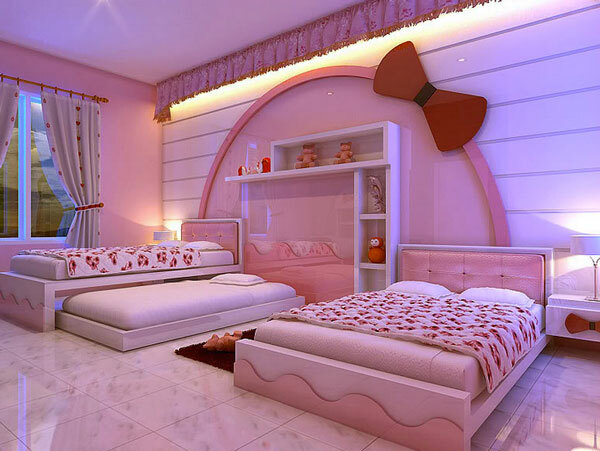 It is tempting to give a pink theme to a girl’s bedroom. While it can work pretty well, you need not restrict yourself to the convention. 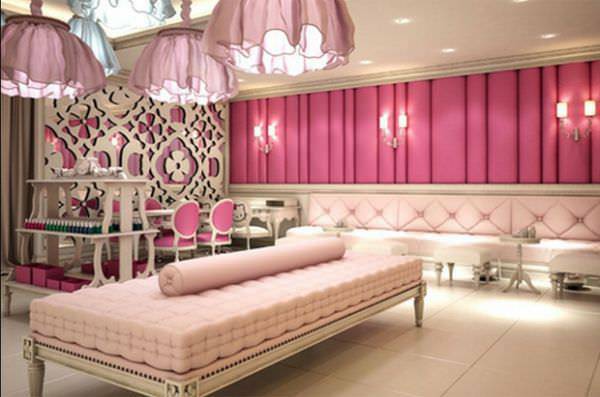 Be imaginative; other bright colours can work equally well like lavender, azure, and even earthen colours with complementary design elements. Just because Hello Kitty is the dominant theme in the room it does not mean you should overdo the kitty faces. 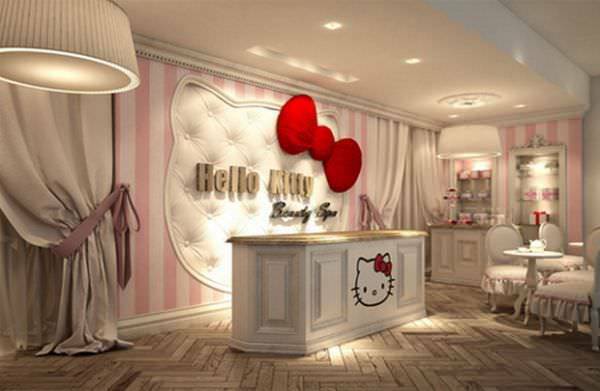 Do not crowd the room with kitty faces. On the other hand complement the concept with other stories, fairy tales and images of nature. 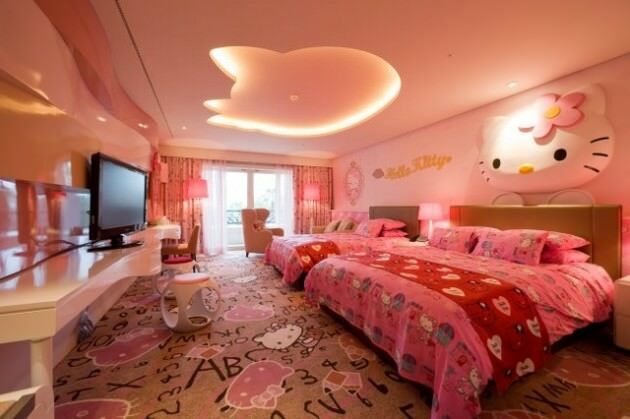 Just because Hello Kitty is the dominant theme in the room it does not mean you should overdo the kitty faces. 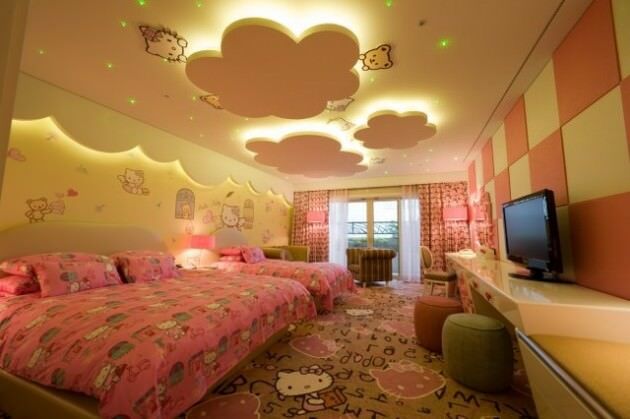 Do not crowd the room with kitty faces. On the other hand complement the concept with other stories, fairy tales and images of nature. The furniture can be traditional, contemporary or transitional and apart from the bed can include a book shelf and a study table, all designed to fit in with the overall decor. The dollhouse of your princess can be a veritable fairy castle, with a sleeping bunk on top and a slope to slide down on. 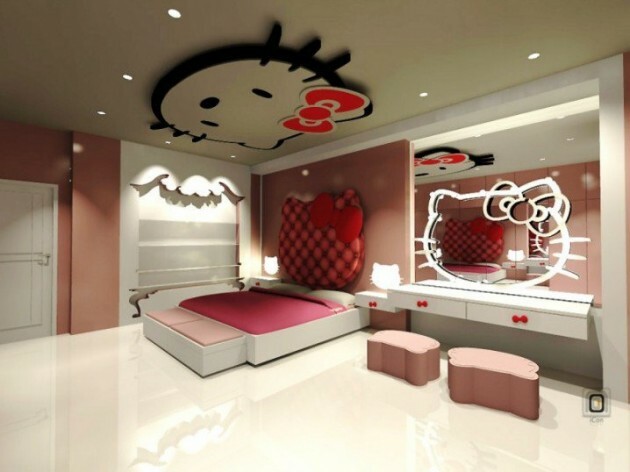 She could play with her dolls inside the lower level of the bunk bed, which should also include toy kitties. Add some cuddly warmth to the room with a soft carpet that matches the wall colour. 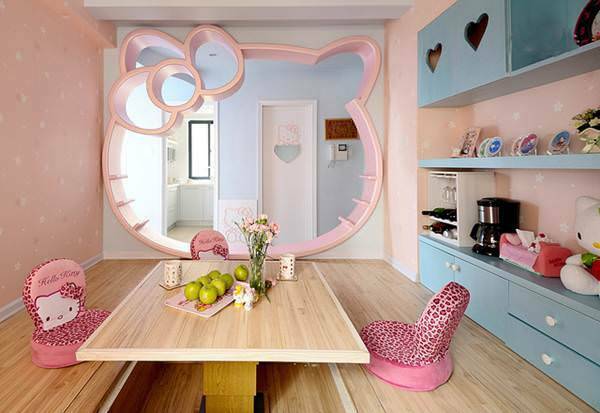 Make your daughter’s childhood as colourful as possible. 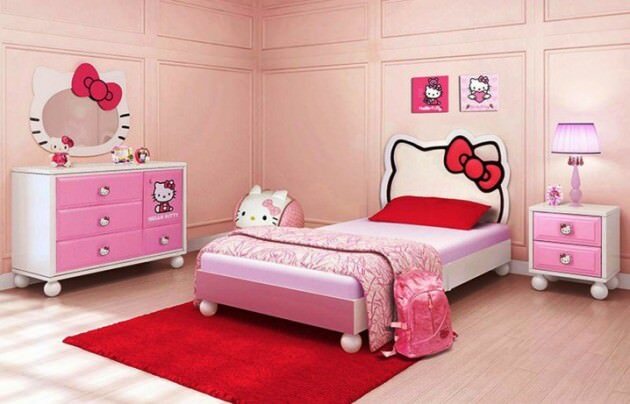 If she is old enough to have her own room now, it will not seem long before she is old enough to have her own house.